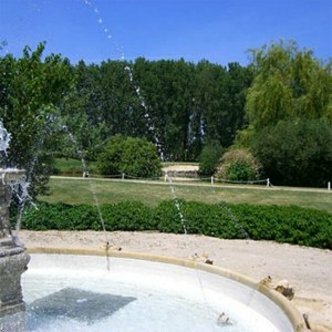 In a romantic landscape of the Dombes, located between the city of Lyon and Bourg en Bresse, the Best Western Golf & Hotel du Gouverneur is surrounded by two 18 hole Golf courses, 'Le Breuil' and 'Le Montaplan' and by a 9 hole golf course training center. The Best Western Golf & Hotel Du Gouverneur has 45 rooms and 8 suites, all with golf course views, television, mini-bar and all are soundproofed and air conditioned. Our attentive, multilingual staff takes pride in providing personalized service, which has become a hallmark of our hotel. Moreover, 2 restaurants, a pro-shop, tennis courts, swimming pool, fishing and biking will help you to enjoy your stay with us.